The Super FamiCon convention is a celebration of Nintendo and gaming culture. It also hosts a number of competitive tournaments in the Greensboro Marriott’s conference rooms. 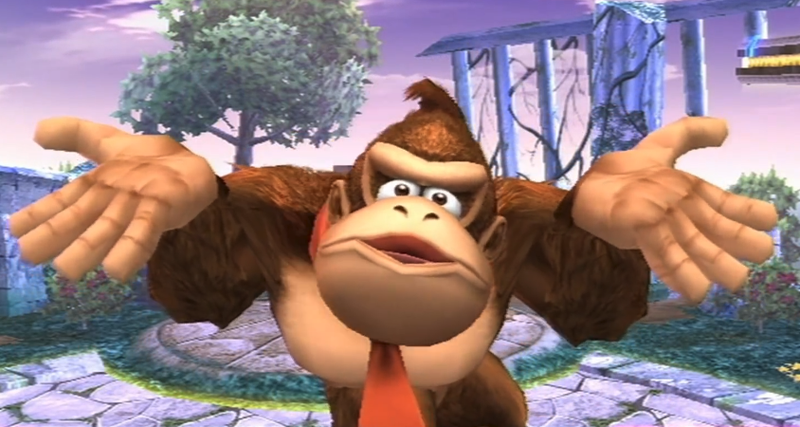 This morning an attendee who goes by Mossy showed up early only to find someone had put Donkey Kong performing his taunt on as many of the gaming stations as they could get their hands on. Top eight for Melee at the event starts later today with the tournament streaming live here.